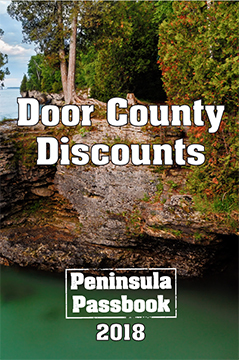 The Peninsula Passbook is your key to unlocking adventure and savings in Door County! Each book contains hand-selected offers redeemable at over 20 unique venues, from dining and shopping to zip- lining. 10% of all Peninsula Passbook sales goes back into the local community. Connect with us on Facebook or our website for more information.